There are some family members, friends and work colleagues that will always be hard to buy presents for. There are those people in life that seem to have everything they want and you are never quite sure what you can buy them that they will like. We are sure, that for the Royal Family, they struggle just as much when buying things for The Queen – what do you get someone when they already have multiple homes, a few countries and her face on millions of pounds? Imagine it’s the day after your 90th Birthday, you’ve been partying late into the evening to celebrate such an amazing occasion and huge milestone – and now it’s the morning after the party and the crown is a little wonky. What you need is a cup of tea. We have designed a fabulous pair of HRH The Queens 90th Birthday Collectors Mugs, perfect for the queen to sip her tea from, the morning after a big night out. But what about the Big Day itself – what present will Prince Phillip get for the love of his life? 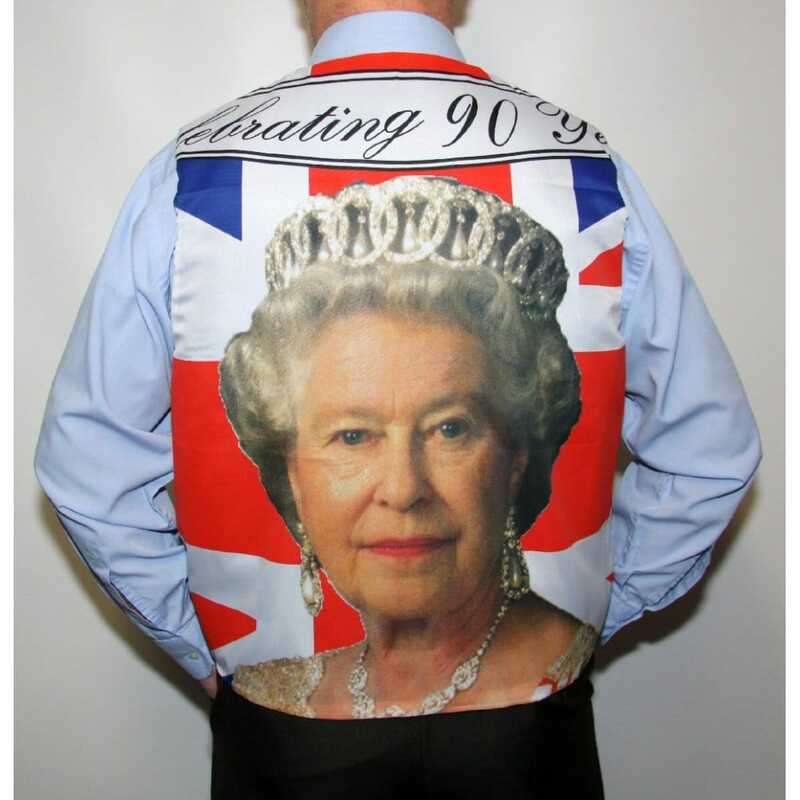 Why not opt for a HRH The Queens 90th Birthday Union Jack Souvenir Waistcoat that not only looks classy but is a personal gift that we are sure The Queen would love to see on her very special day. Maybe Prince William and Prince Harry could throw their Grandmother, HRH The Queen, a surprise birthday party for her 90th? We have a superb HRH The Queens 90th Birthday party pack of decorations, flags, masks and hats that will really get the party into full swing. A party like this would be great for everyone. A lovely gift from Prince Charles and Camilla would be our gorgeous HRH The Queens 90th Birthday collectors soft teddy bear, a lovely gift from a son to his mother to celebrate a special occasion. It’s a lovely fluffy teddy bear with a royal purple yellow ribbon with gold print to create a gift that is fit for a Queen. If you were buying a gift for the Queen what would you choose?